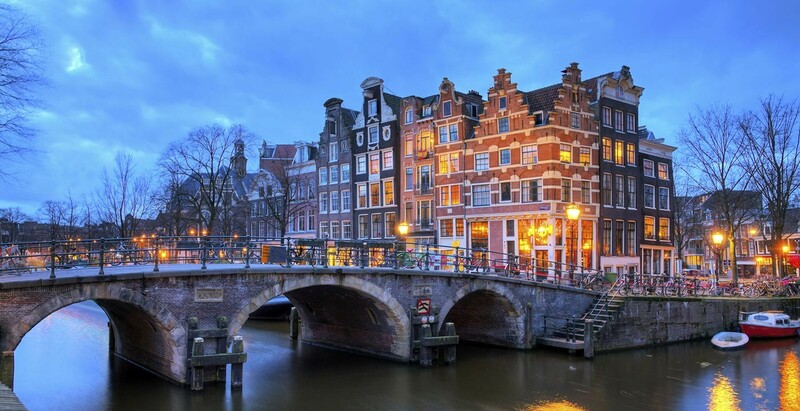 Amsterdam is one of the cities you should visit at least once in your lifetime. The canals and the bridges which connect the city together, the unique architecture and the free spirit culture are the main things which make this city special. Apart from the Red Light District, Van Gogh Museum and the Anne Frank House, Amsterdam has many spots hidden just around the corner. Willem is one of our local taxi drivers in Amsterdam who regularly shares the secrets of the city with his passengers and suggests which places to visit. For your next visit to Amsterdam, we suggest to follow Willem’s route and you’ll have the time of your life, for sure. If you’re a fan of shopping and wish to explore local craftsmen’s works and designs, then you should visit the 9 Streets (de Negen Straatjes). Located on the west from Dam square in the west canal district, this area is also known as „Soho of Amsterdam“ and it’s the home of shops since the 17th century. At that time, merchants lived in grand canal houses and supplied food, clothes and furniture to the wealthy class. These shops supply unique handmade jewellery, vintage clothes, ceramics and more. Some of them are designed and made in Amsterdam, so you’ll be able to add to your collection of authentic pieces from your Amsterdam trip. You can take a break from your shopping spree in some of the restaurants or cafes by the canal. Bags and purses are the most practical and inevitable accessories of our everyday life. The Museum of Bags and Purses (Tassenmuseum Hendrikje) in Amsterdam is a unique setting which displays pieces back from middle ages till today. It all started as a hobby for the owners Hendrikje and Heinz Ivo who decided to grow their collection and share it with the world in their canal-house setting. The museum has a collection of more than 5,000 pieces which tell the story of how bags and purses changed their forms and designs throughout the centuries. Ever wondered what the ladies in royal courts across Europe wore back in the 17th or 18th centuries? Here you will find the answers. The collections include contemporary and luxury pieces from the biggest names in the fashion industry today, as well. After you finish the walk, you can relax with a coffee in the amazing 18th-century salon and feel like a royal. Just outside Amsterdam, there is a living piece of Dutch history which displays the scenery of the working class in the 17th and 18th century. Zaanse Schans showcases the traditional village life with windmills, barns and houses in the open-air museum. You will learn and experience the country life and old-school industry. There are few fully functional windmills which date back to that period and feature information about the production process. Another stop is the Cheese factory where you learn about the production process of the famous Dutch cheese and taste it. Few other traditional craftsmen shops can be found, so here you can find the best authentic souvenirs. At the end of your tour, you can relax in some of the restaurants and enjoy the scenery. Behind a wooden door is the oasis of tranquillity called Begijnhof. This used to be a convent for the Beguine order of unmarried or widowed women who lived a religious life and took care of the elderly. The well-preserved buildings and courtyard date back to the 14th century. The house at No 34 has preserved its original form which makes it the oldest wooden house in the country. At the centre of the courtyard is the English Reformed Church (Engelsekerk) which was built in 1392. Opposite the church, there is the smaller Begijnhof chapel. The last sister of the Beguine order died in the 1970s and today the surrounding dwellings are still inhabited with single women only. If you’re looking for some quiet time and beautiful green landscape, then you should head out to Westerpark. It is located in Amsterdam West where the working class used to live. It’s gaining popularity with Westergasfabriek which is located in the heart of this park. What used to be a gasworks in the past, now is a trendy spot with plenty of cultural events. The Westergasfabriek features a great selection of cafes, restaurants with beautiful outdoor space, cinema, as well as, food and art markets. Many cultural events and festivals are held here throughout the year. It’s a kind of place where you will find the peace you need and feel the art scene in Amsterdam. We can’t wait to hear about your visit to Amsterdam and let us know how you liked these places in the Comments section.